Heroin is one of the most widely publicized and notorious drugs in existence. The worldwide heroin industry involves billions of dollars exchanging hands, and heroin trafficking has truly become a global operation. Heroin has also made a permanent cultural impression on art, music, and even literature in the United States and Europe. Hundreds of world famous writers, artists, and singers have been influenced by heroin, and many have publicly admitted to using the drug. But heroin is also one of the most dangerous drugs in existence, and is responsible for thousands of deaths each year. 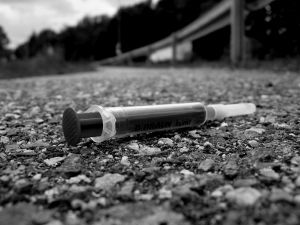 The exact number of heroin users in Maryland is unknown, but it has been estimated by the DEA that over 1 percent of high school age students have used the drug, and worldwide over 20 million people use heroin. Heroin use has actually been on the rise in Maryland over the last few years, and much of this increase in heroin use can be attributed to the drug’s new presence in Maryland suburbs. In Dorchester County for example, heroin use is up nearly 400 percent and in Baltimore suburban areas such as Harford County, heroin use has risen over 100 percent. Frederick County, Wicomico County, and Queen Anne’s County have also reported over 100 percent increases in heroin use. As heroin use continues to rise in Maryland, the number of heroin arrests has risen as well. Maryland law enforcement officers in urban areas such as Baltimore and Washington D.C. have been making a large amount of heroin arrests for years, but the recent introduction of heroin into Maryland suburbs has forced county police officers, prosecutors, and heroin lawyers in jurisdictions such as Baltimore County and Harford County to become more familiar with the drug. Heroin is classified as a schedule 1 controlled substance in Maryland, and possession of heroin is a misdemeanor with a maximum jail sentence of 1 year. Although a first time offender in a possession of heroin case will rarely face significant jail time, possession of heroin does carry an unavoidable stigma that the defendant is a dangerous drug addict. That is just the reality of a possession of heroin cases that simply does not exist with other drugs such as marijuana or cocaine. For this reason, possession of heroin cases can be more complex, and require a criminal lawyer with actual experience defending heroin crimes in Maryland. Distribution of any controlled substance in Maryland is a serious felony criminal charge, but distribution of heroin cases are often met with even tougher resistance from judges and prosecutors. Again the stigma of heroin comes into play, and even a first time offender may be facing significant jail time for distribution or sale of heroin. The maximum penalty in Maryland for distribution, manufacture, or sale of heroin is 20 years in prison and $25,000 fine for a first time offender, and these maximum penalties rise with each subsequent offense. The Maryland heroin lawyers at The Herbst Firm have represented actual heroin cases and understand the challenges that these types of criminal charges present. If you or someone you know has been arrested or is being investigated for possession of heroin in Maryland or heroin distribution in Maryland, contact The Herbst Firm for a free consultation.